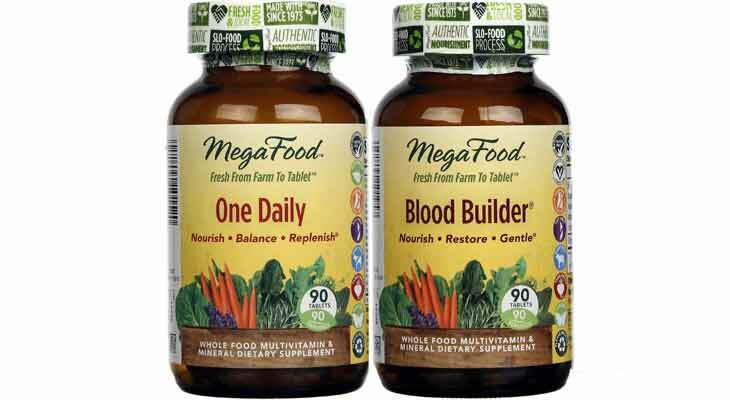 MegaFood produces whole-food supplements using fresh produce and whole grains all to provide you with the most potent and bioavailable nutrients. Keep reading to find out how they do it. Since MegaFood was founded in 1973, the company has remained true to their three key points, which set them apart in the health industry: using fresh and local food, following the Slo-Food Process and providing authentic nourishment at every stage of life. Now celebrating their 40th anniversary, the company has gained a loyal following with their high quality, whole-food supplements. Carl E. Jackson, MegaFood's founding president and owner for 20 years believed in always "doing it right" when it came to making nutritional supplements. He set the standard for using whole food ingredients to produce single vitamins and minerals as well as specific blends, all with the goal of making living healthily easier. Jackson wanted to create the best facility possible to create high quality, whole-food products he and his team could be proud of. Founded in New Hampshire, MegaFood's impressive campus includes a GMP-certified manufacturing facility with the best equipment to produce supplements at low temperatures as well as an analytical lab where researchers use state-of-the-art technology to examine all the ingredients and completed MegaFood products for quality. Today, the company's top-selling and award-winning supplements include One Daily, Women Over 40 One Daily, Blood Builder, Vitamin D 3 2,000 IU and Mega Flora. Those three key points have made the MegaFood production process different from their competitors from the start. They begin with farm-fresh foods direct from local farmers. This ensures the highest quality raw materials go into the making of their supplements, providing all the vitamins and minerals your body needs in the form most easy to digest. These ingredients include vegetables, whole grains and fruits from both the United States and Canada -- their Farm Fresh Farm Partners run family-owned farms who take as much pride in their product as MegaFood. Once the ingredients have been inspected for quality, they begin the Slo-Food Process, which was developed in partnership with researchers from the University of New Hampshire. Slow and steady wins the race when it comes to processing whole foods, keeping all those vitamins, minerals and other key compounds intact throughout production. These nutrients are never exposed to extreme hot or cold temperatures and the final products are never dyed/bleached to create a more uniform color. Once arriving to the facility fresh frozen, they're cold-milled, pre-digested with enzymes and then dried. The result of this process is FoodState Nutrients, which encompass the third key point of authentic nourishment. Customers enjoy knowing their vitamin C was actually produced using oranges or that their B vitamins came from nutritional yeast. The goal is to give your body the nutrients it recognizes in the food you eat in supplement form, to help you meet the recommended daily requirement. MegaFood still owns their facility in Londonderry, New Hampshire, continuously improving their current product line while developing new supplements to meet their customer's needs and follow the movement of the natural health industry. Their products can be found online and in stores across the United States and are also available internationally. They produce more than 30 FoodState Nutrients which are used to create their products. This vitamins and minerals are all created with a unique formula to provide the most potent and bioavailable nutrients possible, all without cutting corners -- just as Jackson intended. The entire MegaFood team strives to make living a healthy life easier for their customers, so these choices become a lifestyle instead of a temporary fix.